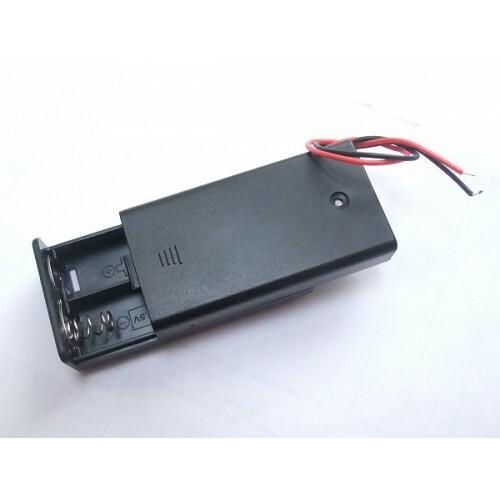 Enclosed battery holder for two AA cells. This holder features a lid that slides over the batteries and snaps into place to fully enclose them. 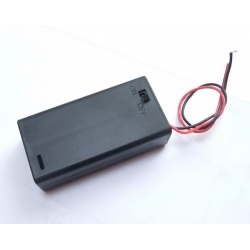 It also features a switch that lets you open and close the electrical connection between the batteries and the holder’s leads. The cover is designed to snap shut so, although there is a screw hole, the screw is not included. The hole is provided as an option to be able to close the cover more securely if required.